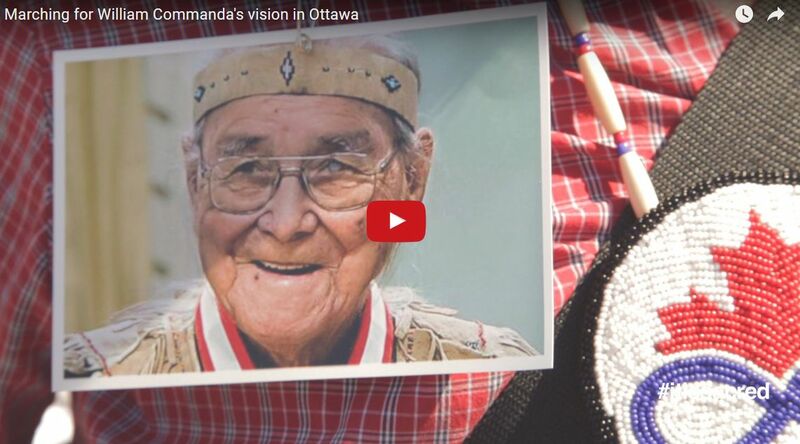 Today, in celebration of National Aboriginal Day, a local group released a new video that chronicles what is at stake and why more than 500 people took to the streets of Ottawa on June 17. The historic It is Sacred walk on June 17 lifted the hearts and spirits of Indigenous and non-Indigenous supporters of all ages and nations. We walked behind Algonquin Elders who spoke strongly for an end to the broken promises related to the sacred islands and waterfall. Visit this Facebook page for photographs galore. The elders are still busy. 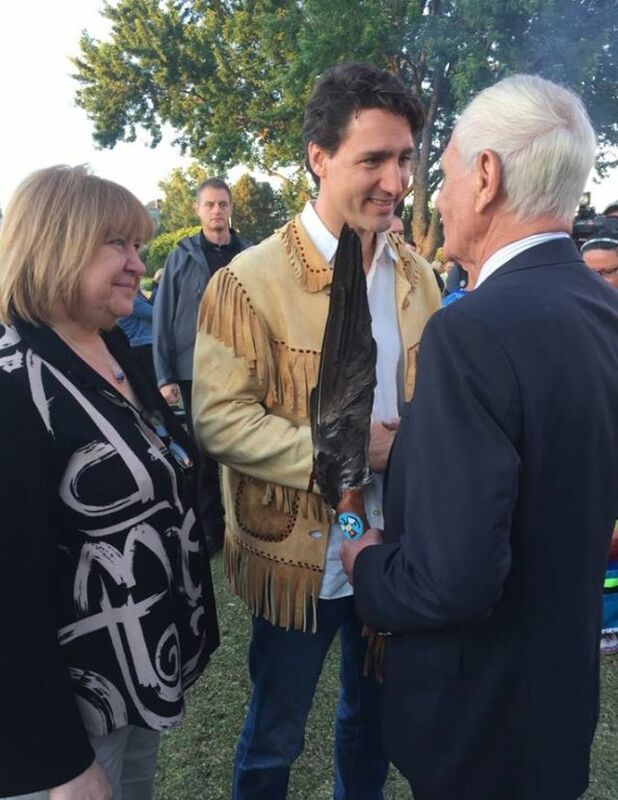 In celebration of National Aboriginal Day, Anishinaabe Elder Douglas Cardinal attended an outdoor sunrise ceremony hosted by the Hon. 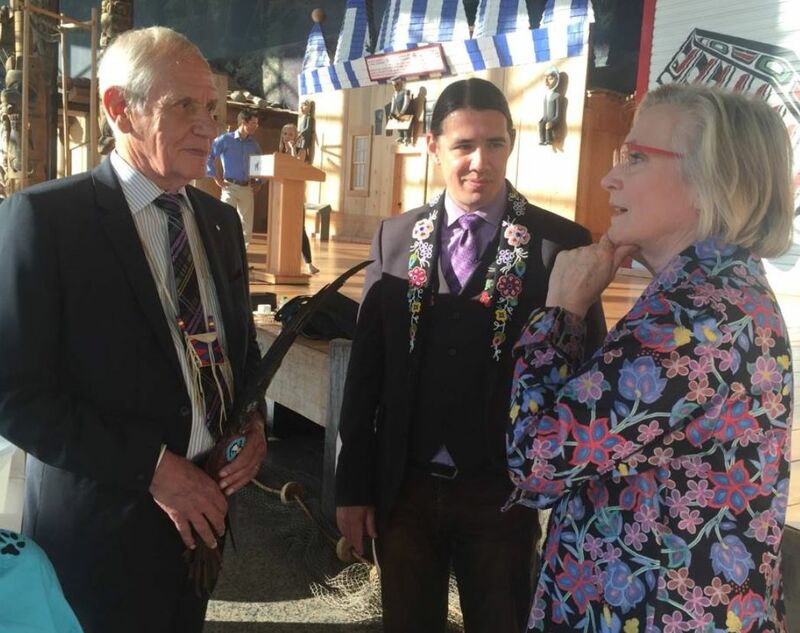 Carolyn Bennett, Minister of Indigenous Affairs and Northern Affairs on the grounds of the Museum of History that Mr. Cardinal designed. Prime Minister Justin Trudeau also had an opportunity to meet and speak with Mr. Cardinal at the early morning event. The calendar of events for the coming days includes a Circle of All Nations gathering on June 26 and a rally organized by the Stop Windmill Coalition for Minto Park on June 27. Let’s keep the momentum going. Your voice matters. Together we are making a difference–and history.